Floor-standing, low-temperature oil heating system/oil-fired condensing boiler system, each available in four versions ranging from 16 to 27kW, designed for use in houses or apartment blocks, depending on the output. Also available in the low-temperature version with downstream heat exchanger and as a single boiler. Up to 40 % heating cost savings and maximum eco-friendliness as a result of perfect combustion and heat recovery, with optimum use of calorific value. Peak standard performance level up to 104 % with the oil-fired condensing boiler version, top standard performance level up to 94.5 % in the low-temperature model, or up to 98.5 % in the low-temperature model with exploitation of residual heat. Unique high-performance glass secondary heat exchanger for excellent reliability (condensing oil-fired version). Especially long service life as a result of proven, sophisticated, high-quality components (cast iron boiler, Rocket Burner®) and common components strategy. Innovative standards regulation with numerous integrated system options and menu-led remote control for especially high user-friendliness. Approved for operation with all normally available types of heating oil. Simple installation as a result of the low boiler weight; uncomplicated maintenance as a result, for example, of the pivoting boiler door. 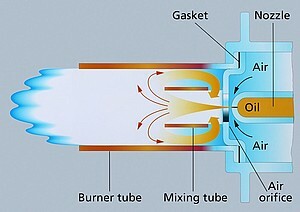 Cost-effective flue renovation by means of a high-quality plastic exhaust system. Especially low operating noise level. 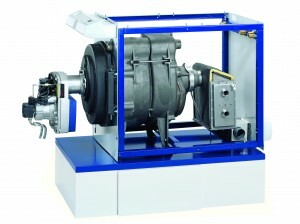 Adjusting the EcoStar oil unit is extremely user-friendly. It can be carried out by radio as an optional extra. All the components, such as the Rocket Burner, are easily accessible for maintenance – which will delight the heating engineer. Can be ideally combined with a thermal solar energy installation from MHG. EcoStar 500 Oil Condensing Boilers, Technical Manual, PDF Download.